AquA Deal$ | AquA AnimaniA | Pets, Ponds, Fish and Beyond! Posted in Aquariums, Coral, Events, Fish, Pets, Ponds, Seasonal	| Tagged Canada Day, Fireworks, Ponds, Seasonal	| This entry was posted in Aquariums, Coral, Events, Fish, Pets, Ponds, Seasonal and tagged Canada Day, Fireworks, Ponds, Seasonal. As the cool weather approaches it is time to start preparing your pets, aquariums and ponds for the upcoming winter months and shorter days and we have included everything you need and more during our biannual Seasonal Pond and Aquarium Transition $ale Event. $ave up to 20% store wide on a wide variety of products from leading manufacturers to help you winterize your outdoor garden ponds and update, enhance, maintain, cycle your aquariums and prepare your pets and small animals for the winter season! AquA AnimaniA is proud to introduce the world class Tropica Aquarium Plants product line and 1-2-Grow! Tropica Aquarium Plants increases the joy and experience of having aquaristics as a hobby and develops and produces aquarium plants, fertiliser and aquaristics equipment. Tropica Aquarium Plants delivers, on a daily basis, to retailers all over Europe, Asia and North America. 1-2-Grow! are very young plants cultivated and delivered directly from the Tropica Aquarium Plants laboratory. The plants are guaranteed to be free from snails, algae and pesticides and therefore are totally harmless for sensitive shrimp and fish. The 1-2-Grow! small plants range offers unique plants with great success! The 1-2-Grow! range offers 3 mosses and specialties such as Rotala macrandra, Rotala ‘Bonsai’ and mini versions of traditional varieties such as Alternanthera and Eleocharis. Success with your aquarium depends largely on the proper plant choice. In a 1-2-Grow! cup you buy a myriad of plants which can be divided into small portions and cover a larger area. Plants are compact from the start so you will experience a dense and beautiful growth, if you give them the right fertilser and CO2 from the start! The 1-2-Grow! range is perfect for small and medium sized aquariums, and your patience will be rewarded. It’s as easy as 1, 2, Grow! We make sure that you select the exact right plants for your individual aquarium and with the addition of Tropica’s world leading plant care products, AquA AnimaniA completely covers the most vital needs that you have to fulfill as an aquarist, in order to ensure that your fish and plants thrive optimally. AquA AnimaniA is your #1 local pet, pond and aquarium source for all seasons! Posted in Aquariums, Events, Pond Winterizing, Ponds, Uncategorized	| Tagged Aquarium Plants, Ponds, Tropica, Winterizing	| This entry was posted in Aquariums, Events, Pond Winterizing, Ponds, Uncategorized and tagged Aquarium Plants, Ponds, Tropica, Winterizing. It’s that time of year again and our Summer Salebration event promises to be bigger and better than ever! Be sure come on down to at AquA AnimaniA this weekend and celebrate Canada Day and our 3rd Anniversary of proudly serving Windsor, Essex County and Beyond. Save up to 20% our already low prices on all outdoor pond fish, plants, equipment, accessories and supplies as well as select pet and aquarium products store wide. In a addition to fantastic savings and special deals galore in the AquA Gardens, we have everything you need for your own fireworks display! Don’t forget to bring your lawn chairs, family and friends after sundown on July 1st and enjoy our annual AquA Firework$ Display and celebrate Canada Day with us! Posted in Events, Ponds, Seasonal	| Tagged Fireworks, Ponds	| This entry was posted in Events, Ponds, Seasonal and tagged Fireworks, Ponds. Why spend all day border hopping to only end up enduring endless traffic, battling congestion and suffering through check-out lines that waste valuable time? Why not save gas, save time and shop local to support our local economy and local small businesses? Save Big at AquA AnimaniA’s 2nd Annual Windsor/Essex Black Friday Shop Local Super Sale! Doors open early with fantastic pet, pond, fish and aquarium gift ideas and deals store wide! Exclusive discounts and special dealz on ALL BioBubble, biOrb, Tetra and Marineland aquarium kits. Save 10% – 20% – 30% – 40% on all pet supplies, pond supplies, aquarium kits, accessories, exotic saltwater aquarium fish and tropical freshwater aquarium fish while supplies last. The biOrb Life Collection looks like no other aquarium. It’s high gloss curves are available in three sizes and three colours Chilli Red, Piano Black and Ice White. All biOrb LIFE 30, 45 and 60 litre sizes are supplied as coldwater aquariums suitable for fancy goldfish or small temperate fish. Tropical fish can be kept with the addition of a biOrb Heater Pack or biOrb Intelligent Heater. If you’re looking for a high performance aquarium that looks like nothing else, then choose biOrb LIFE. The BioBubble is the world’s most versatile animal habitat. 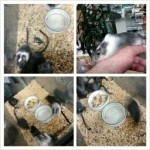 Fish, hamsters, birds and even reptiles. The BioBubble Premium does it all, with the expandable sleeve that gives us the freedom to imagine something revolutionary, something entirely different. A habitat with a 360˚ viewing area. A habitat designed for the future, but ready to use today. The possibilities are endless. The BioBubble can be used as an aquarium, a terrarium or small animal habitat; it’s great for keeping fish, turtles, reptiles, amphibians, hamsters and gerbils. The advanced design of the BioBubble makes it the perfect educational tool and provides an ideal environment for your inhabitants and an enjoyable experience for you. Tetra Kits include everything you need to set up a tank! Available in 10 Starter, 10 Deluxe, and 20, 29, and 55 Aquarium Kits. Tetra Aquarium Kits include everything you need to set up an aquarium including a Whisper Power Filter, and Bio-Bag Filter Cartridge to ensure super-quiet, three-stage filtration for sparkling clear water. LED Lighting is the star of Marineland aquarium kits, which includes both white and blue LEDs that provide a natural shimmering effect in the water. Enjoy your aquarium day or night by simply a flip of the switch. The LEDs are energy efficient and powered by a low voltage adapter which can reduce your electric bill. Marineland offers 5 sizes of kits. Pick the one that is right for you. Aquarium Kits are Still the Best Gift! Pets, Ponds, Fish, Corals and Beyond!!! Please note: Black Friday sale priced rain-checks will be available for select in-stock merchandise with guaranteed in-store delivery by Christmas. Please visit store for details. Posted in Aquarium Kits, Aquariums, Coupondz, Fish, Pet Supplies, Pets, Ponds, Seasonal	| Tagged Black Friday, Event, holiday, Sale	| This entry was posted in Aquarium Kits, Aquariums, Coupondz, Fish, Pet Supplies, Pets, Ponds, Seasonal and tagged Black Friday, Event, holiday, Sale. Natura Pet has announced that they have made the voluntary decision to recall all Innova, California Natural, EVO, Healthwise, Mother Nature and Karma dry food, treats, biscuits, and healthbars with expiration dates prior to June 10th, 2014. Wet products and other P&G Pet Care brands are not impacted by this action. This decision was made after a single positive Salmonella test by the FDA on product manufactured April 3rd, 2013. In an abundance of caution, Natura is voluntarily recalling all products with expiration dates prior to June 10, 2014. FOR IMMEDIATE RELEASE – June 18, 2013 – Natura Pet Products is voluntarily recalling specific lots of dry pet food because it has the potential to be contaminated with Salmonella. Healthy people infected with Salmonella should monitor themselves for some or all of the following symptoms: nausea, vomiting, diarrhea or bloody diarrhea, abdominal cramping and fever. Rarely, Salmonella can result in more serious ailments, including arterial infections, endocarditis, arthritis, muscle pain, eye irritation, and urinary tract symptoms. Consumers exhibiting these signs after having contact with this product should contact their healthcare providers. Pets with Salmonella infections may be lethargic and have diarrhea or bloody diarrhea, fever, and vomiting. Some pets will have only decreased appetite, fever and abdominal pain. Infected but otherwise healthy pets can be carriers and infect other animals or humans. If your pet has consumed the recalled product and has these symptoms, please contact your veterinarian. A healthy diet is important for pets. But did you know that dry pet food, treats, and supplements can become contaminated with Salmonella, a harmful germ that can make both people and pets sick? To protect you and your pet from getting sick, it is important to know how to correctly purchase, handle, store, and behave when handling dry pet foods and treats. Pets that eat contaminated food can carry germs even if they appear healthy. Salmonella germs can cause diarrhea in people, which can be mild, severe, or even life threatening. Young children under 5 years old, persons 65 years and older, and people with weakened immune systems are at higher risk for severe illness. With the proper attention to what you choose to feed your pet and how you feed them, you could keep you and your pets healthy and safe from germs found in pet food. For more information on how prevent an infection with Salmonella from handling dry pet food and treats, continue viewing this article from the Centers for Disease Control and Prevention website: http://www.cdc.gov/Features/SalmonellaDryPetFood/. Posted in Alerts/Recalls, Pet Supplies, Pets	| Tagged bar, biscuits, California Natural, dry, EVO, Healthwise, Innova, Karma, Mother Nature, Natura Pet, pet food, s treats	| This entry was posted in Alerts/Recalls, Pet Supplies, Pets and tagged bar, biscuits, California Natural, dry, EVO, Healthwise, Innova, Karma, Mother Nature, Natura Pet, pet food, s treats. Preview gallery contains 1 photo. 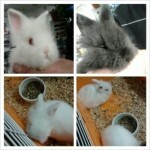 This entry was posted on December 26, 2012 by AquA AnimaniA in Pets, Small Animals and tagged Baby Bunny, Baby Dwarf Angora Bunnies, Dwarf Angora Bunny. Cute ‘Lil Critters… Boxing Week BLOWOUT! Cute, Friendly, Awesome Little Pets! This entry was posted on December 26, 2012 by AquA AnimaniA in Habitats, Pets, Small Animals and tagged Gerbils, small animal habitats. 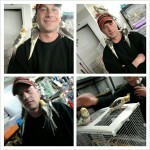 Baby *Handfed* Birds… We Have the Only Baby Cockatiels in Town! Baby… Baby… Baby… Baby Birds! All Ready to Go for Christmas!! Preview gallery contains 3 photos. This entry was posted on December 23, 2012 by AquA AnimaniA in Birds, Pets and tagged Baby Birds, Baby Budgies, Baby Canaries, Baby Cockatiels, Baby Finches. Santa came early for us this year and there are now 3 NEW bus stop benches with our logo!!!! This entry was posted on December 23, 2012 by AquA AnimaniA in Events and tagged Logo Contest. Trees, Grave Blankets, Wreathes, Garland, Poinsettias and Decor! 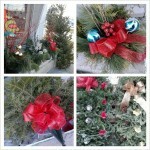 We Have Fresh Trees, Grave Blankets, Wreathes, Garland, Poinsettias and Decor Pots!!! This entry was posted on December 23, 2012 by AquA AnimaniA in Coupondz, Seasonal, Uncategorized and tagged Christmas Trees, Garland, Grave Blankets, Outdoor Decor Pots, Poinsettias, Wreathes.